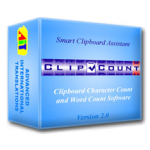 A modern and easy-to-use translation quality assurance tool. 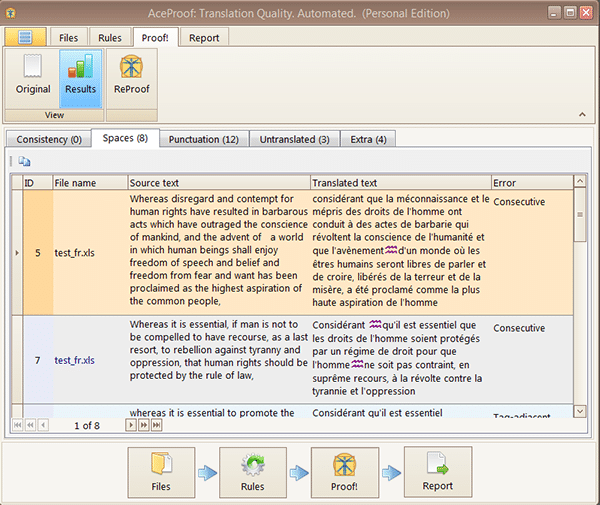 All versions of AceProof give access to the essential functions developed specially for translators, editors, and proofreaders. 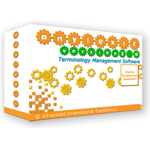 – Check documents in the following formats: DOC(X), RTF, XLS(X), HE (Helium), TMX, TTX, XLF, XLZ, SDLXLIFF, MQXLIFF, and MQXLZ. – Detect inconsistencies between similar translation items. – Find untranslated words and phrases. – Identify content where the source and target have different lengths. – Export the analysis results to XLSX or PDF. – Customize the appearance of your program and reports. 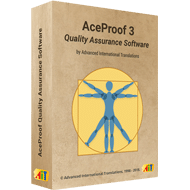 Click here to download a FREE trial version of AceProof!